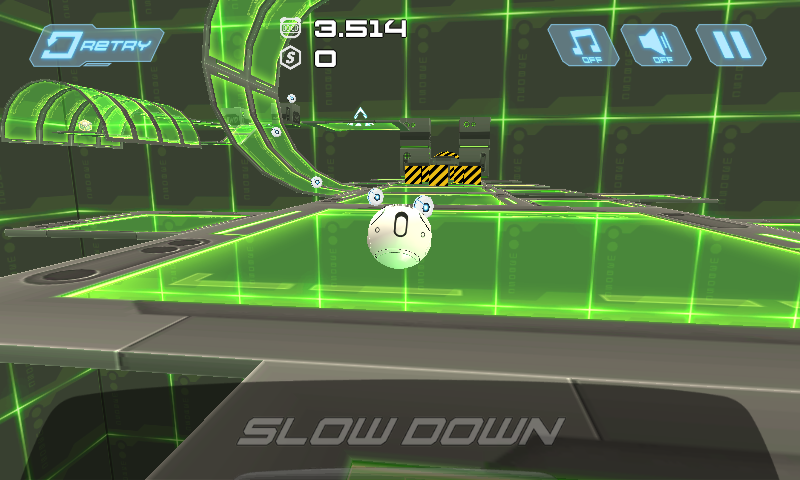 I’m Spherical, I Move Quick…I Must Be Playing Orborun! Growing up, I would always want to play Super Monkey Ball on my GameCube, but never actually got the chance to play anything beyond the demo. Since then, I’ve been fascinated by games that feature a character with his speed always increasing. The kinetics of this genre of game never fail to intrigue me, and the fluidity and reflexes required to make the turns and jumps inherent to the genre are what I love about games in general. This week’s game of the week, Orborun by Tiny Lab Productions captures these feelings perfectly, and when combined with the objectives of each level, creates a fantastic arcade experience. Each level has the same main objectives of reaching the end goal and scoring three stars. Reaching the end goal is the same in each level, you simply roll towards the goal. Scoring three stars however changes, with each of the three game modes providing you with a different challenge. The first one, Haste, is all about just getting to the end. If you pick up the coins and keys along the track as you go, you’ll score better. Nice and simple. The second, Puzzle, gives you a board and says “Hey, bud. Go collect the keys and coins. Get them all, and you’ll score big.” It’s a lot more relaxed than Haste, but still challenges the player’s ability to think and plan a path. The final game mode, Hazard, combines both of these. You have to reach the end of the level quickly, but also plan routes around holes and barriers to get there without dying. This is the hardest game mode, and seriously challenges the player’s reflexes and quick thinking abilities. With only four lives per level, this gets tricky and can (and has) lead to rage quits. The good thing is that respawn times are so low. Musically, Orborun features a great electronic soundtrack, at least for the first two songs. The other songs in the soundtrack don’t exist. This sort of game seriously needs a larger soundtrack, and it’s a major problem that Orborun features such a sparse one as it quickly gets boring to listen to. That said, the songs that are in the game are great. The art style is clean, and makes the game look robotic. This works well, and feels right. 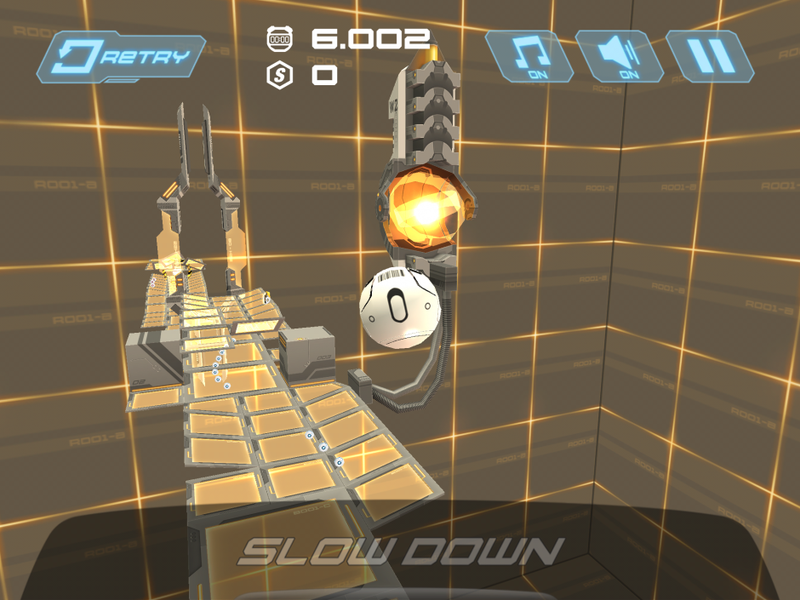 On top of these points, the player can collect coins during the levels. These can be used to upgrade the robot the player is using with new skins, and to even buy new robots. These robots don’t have different stats, but all vary cosmetically, providing a little more for the players to work towards once they have collected three stars on each level. I recommend playing Orborun if you’re a fan of fast playing games, or if you’re like me and have a hankering for some Super Monkey Ball-esque arcade action. This is a great game to play if you want to do something fun for ten or fifteen minutes, but be warned it has major “one more level” addictiveness, as the levels are so short. 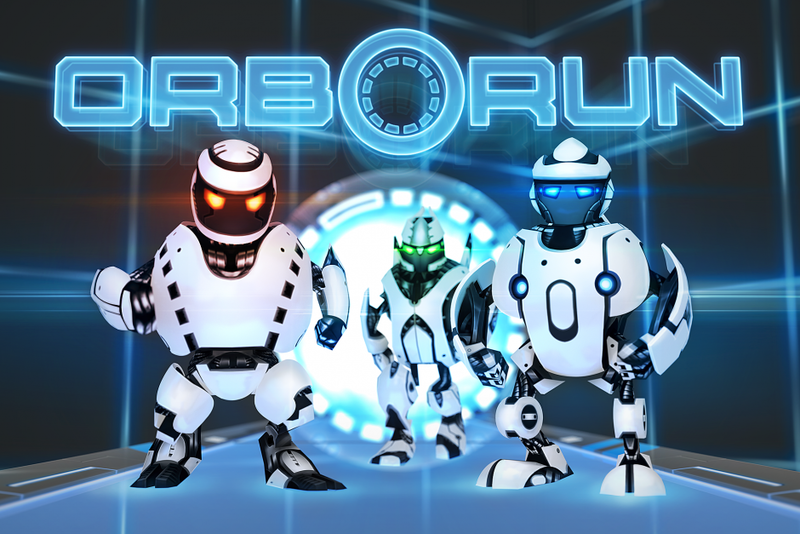 Releasing on Steam on the 5th of September, you can pick Orborun here. Follow me on Twitter @Iyagovos and email indieinvestigations@gmail.com if you have a game you’d like to submit, or would like an interview. Thanks, and have a great day!